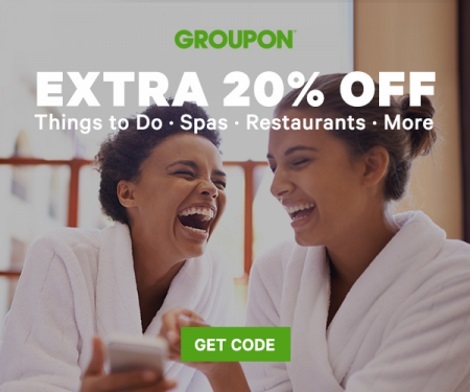 Groupon is offering an extra 20% off right now on local deals! This can apply on just about anything, and is on top of their awesome deals already. You can use this on things to do, spas, restaurants and more. Enter the promo code PLAY20 at checkout to get the discount. Offer is valid Monday, March 13-Tuesday, March 14, 2017 only.